Mining in Kenya yields high-grade quantities of gold, copper, ilmenite and tantalum. Kenya is also an important source of non-metallic minerals including soda ash, limestone, salt, niobium, fluorspar and fossil fuels. Africa Mining IQ allows you to tap into 16 mining projects in Kenya, including the country’s highest capital value mining project, the Kwale Mineral Sands Project. This project will bolster Kenya’s mining production by over 79 000 tons of rutile and 30 000 tons of zircon annually over the next seven years, in addition to 330 000 tons of ilmenite. The R 2.7 billion project, which is located about 50 km south of Kenya’s principle port city, Mombasa, encompasses 1 500 acres of land. The project consists of an open pit mine and associated processing facilities, and is expected to have a lifespan of 13 years, mining 140.6 megatons of ore to produce 4.7 megatons of final product. Africa Mining IQ provides comprehensive intelligence that allows you to make the most of this mineral wealth! A subscription to Africa Mining IQ keeps you informed of the latest developments in Kenya’s mining landscape. As Africa's largest online mining database, with over 1 850 African mining projects currently listed, a subscription to Africa Mining IQ enables you to track, target and record key mining projects on the continent, with accurate, verified information that is updated daily. Africa Mining IQ is Africa's premier source of mining intelligence; currently assisting more than 170 companies grow their business by providing essential mining industry data. This database includes key information on all facets of mining operations, from project location and capital values to principle contact details on mining in Kenya, and throughout Africa. 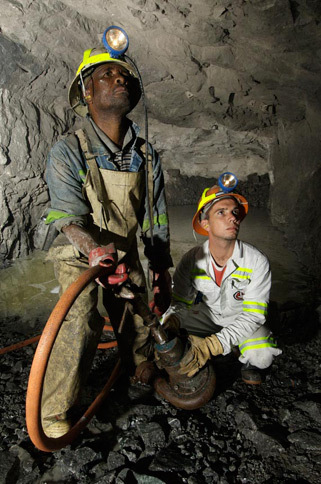 Contact Africa Mining IQ today on +27 11 830 2132 to grow your business in Kenyan mining!